One of my weakest hitters hit his first HR and it was a grand salami! I tried just the new bat grip this past week you outlined in the book with the top pointer finger off the bat and the bottom hand holding like a butterfly. Saw results immediately. One of my weakest hitters hit his first HR and it was a grand salami! He was so pumped. After the game he said he focused on that grip and it worked! Thank you so much for the detail. You have gotten my attention. 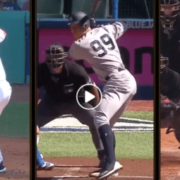 https://hittingperformancelab.com/wp-content/uploads/2018/05/hitting-performance-labs_c90c0362088ef1d3d528f3078f4f8ac1.png 0 0 Joey Myers https://hittingperformancelab.com/wp-content/uploads/2018/05/hitting-performance-labs_c90c0362088ef1d3d528f3078f4f8ac1.png Joey Myers2019-01-07 21:03:162019-02-05 04:26:08One of my weakest hitters hit his first HR and it was a grand salami! Thank you so much for your help through your book T.C.L.S. I am 13 and weigh around 105 and I finally hit my first home-run! (The field I was on was 226 in center and 175 in left and right). It went about 240+. I think it was going to go further but it hit the the fence on the field in front of it. 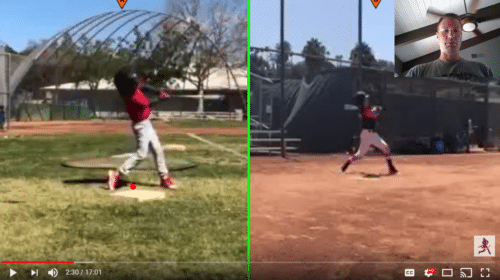 It was the first time applying the new hitting mechanics when hitting live pitching and front toss. Though it was my only home-run that day, I had a few that hit the fence that were mainly line drives. 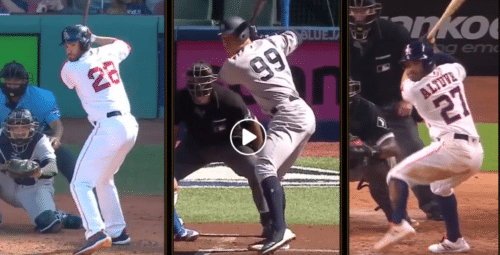 I was mainly focusing on “showing the numbers” and ” hiding the hands” and then a few times trying a downward shoulder angle and hunching over during my swing (I think when I hit the home-run I had a downward shoulder angle). I read the first edition of The Catapult Loading System a couple years ago. The only reason I did is because I have a Kindle Unlimited membership and the book came up in a search I did for baseball instruction or something. I have been coaching youth baseball since 2003, and I’m always looking to improve, gain knowledge, etc. I had zero expectations for this book. I actually thought I’d read a chapter and move on to another book. I figured this would be just another hitting book with all the same stuff. Instead, I couldn’t stop reading. For me, this book was packed full of great stuff that was new to me. I loved the links included in the Kindle version. I really enjoyed the stuff in the book that was not hitting related, too. I recommend this book all the time. It’s totally worth it even if you learn just a couple things or discover a few different ways to teach players. I purchased this book last winter not only to teach myself but also my 5 year old son. I also purchased a Zepp’s Swing Tracker at the same time. While I read and began to understand the principles of this book, my son was in the basement establishing a baseline with the Zepp’s. His swing at 5 and 46 lbs was in the mid 20’s, good, bad, don’t know, don’t care. One month into utilizing the techniques in this book, his bat speed climbed to 42mph. True speed comes with consistency and continued practice will make it perfect, if there is such a thing. Now at 6 and and 47 lbs his bat speed is around 48 mph. Thank you for this book, I truly do believe it can give anyone a path to success, as long as they are open minded, read, and believe. I read your book the other day. I have only been using some of your Facebook posts to help my daughter with her swing, without understanding the CLS. She used to squish the bug, but had a ton of bat speed and power. She now weight transfers but lost bat speed and power. Can’t figure out why. Well I read the book and we tried it today. Holy Sh!t!!! She was hitting around 68 EV with he squish bug, and jumped up to 75-78 regularly with weight transfer, but still felt like less power. I don’t have the tools to measure it anymore, but it has to be in the low 80’s. She used to be able to polish off 2 buckets of balls in a short time, 80-100 balls. Now after several swings, she needs to stop to recoup her energy, but says it feels like she’s not even swinging hard at all, and the ball is jumping. She did about 40 swings and was done. Made a believer out of me real quick. And she understands the technical terms and understands the concept real well. 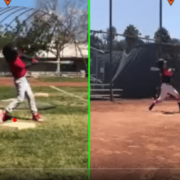 My son is 12 and I have used some of the teaching the Hitting Performance Lab are posting on here and my son hit the ball over 280 feet several times already in the game not just practices and also hit the fence on the fly on 300 feet field, so what this guy is teaching works, a least for my son…He weighs about 110 now, but what I have noticed is how consistent his power has become thank you so much for your help, I played 10 years of professional baseball and I wish I could of used some of this advice. 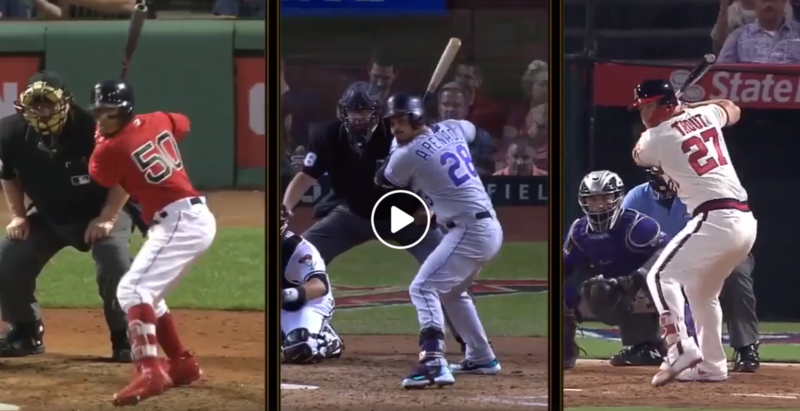 How Did The Trevor Story 505 Foot Homerun Happen? Was it because of Coors field? High altitude is part of the equation, adding about 5% to batted ball distance according to bat-ball collision expert Physicist Dr. Alan Nathan. CLICK HERE, scroll down, and read under the subhead, “Effect of Altitude on Batted Baseballs”. So the Trevor Story 505 foot homerun at Fenway would have landed about 480-feet from home plate. Still, not bad. Body mass? 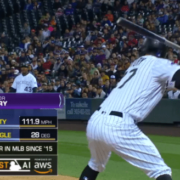 According to Baseball-Reference.com, Trevor Story is 6’1″, 210-lbs. 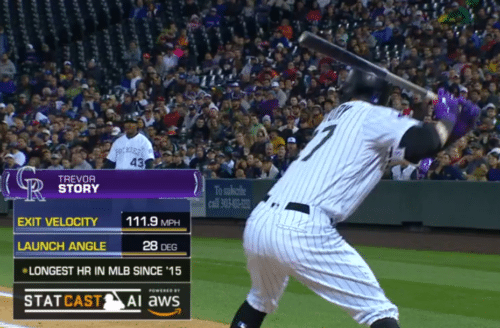 The Trevor Story 505 foot homerun is the longest dinger in Statcast history, at Coors field, surpassing Giancarlo Stanton’s (6’6″, 245-lbs) record by 1-foot at the same ballpark. Bat speed is a better indicator of batted ball distance than body mass…Dr. Alan Nathan said this to me over the phone. Any other excuses out there besides good effective hitting mechanics? 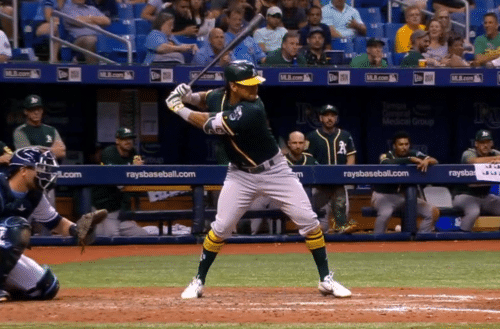 😛 ANY hitter with the optimum launch angle, and hitting the right part of the bat is one of the best starts. Anthony Rizzo homer falling down. 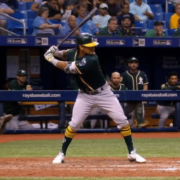 Is Rotating Back Hip Through Zone Necessary For Power?